This rub is full of complex flavors. You get a little bit of heat and a little bit of sweetness. Use it as a stand alone rub or grill your meat with the rub and add some BBQ sauce for the last 5 minutes of cooking. I really like this rub on pork, but it is also fabulous on shrimp. You will need a jar with a tightly fitting lid. 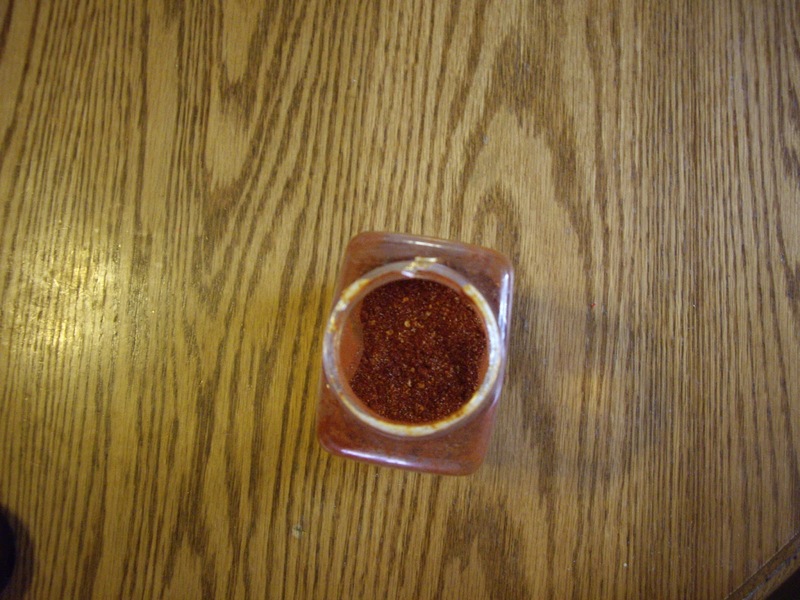 An empty large spice shaker container or Parmesan cheese container is just perfect if you have one of those. Put everything into the container and screw on lid. This makes about a half cup. To use: put some on meat and rub it in. 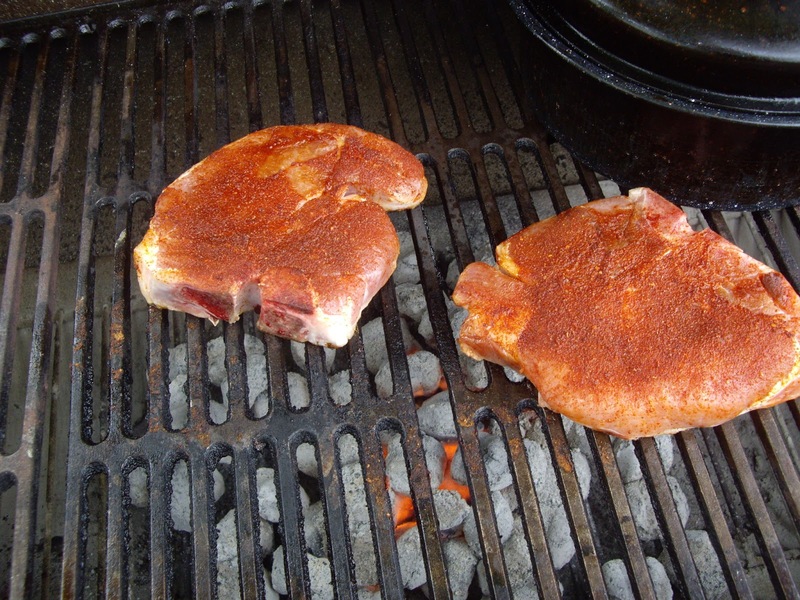 Pork chops with Memphis Rub.